FLOW-3D Cast is a software designed and developed for the foundry industry. 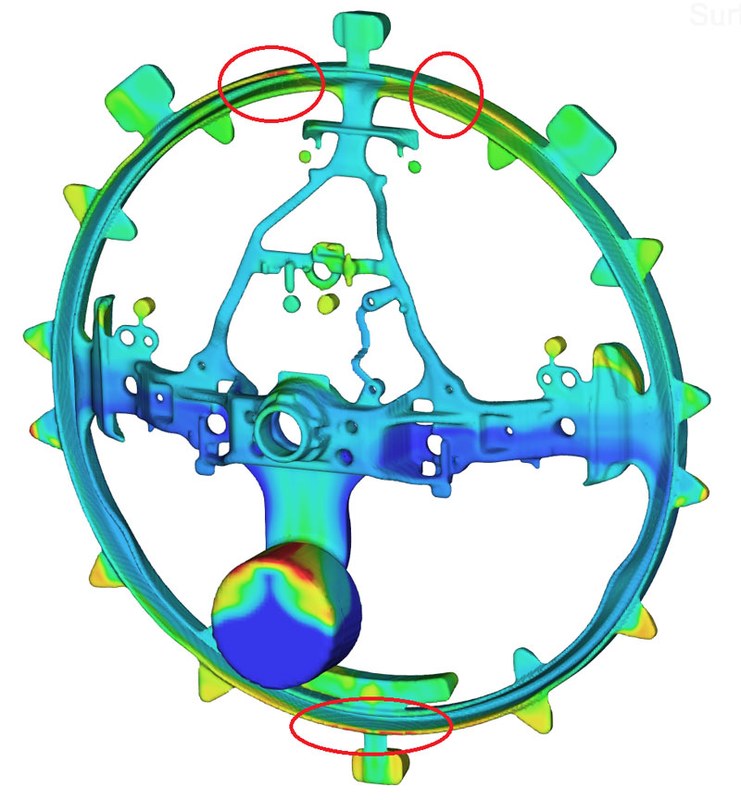 It has the same powerful solver of FLOW-3D but a different interface, specifically designed to simulate cycling, filling and solidifications of metals (and irons) in a very wide range of processes. All the power and flexibility of FLOW-3D software are translated also in its Cast version: the importing and definition of CAD geometries is very fast, as well as the mesh generation that takes just a few minutes. Moreover, the tracking of the metal surface uses the unique TruVOF algorithm, that grants an incomparable accuracy on tracking defects during filling. FLOW-3D Cast has a GUI that guides the user step-by-step, with few error possibilities, and with menus and windows that speaks a casting language. The software includes also a powerful postprocessor, based on the latest graphical engines, which allow the user to display immediately the results of interests, preparing report, automatize image and videos creation. With FLOW-3D Cast it is possible to simulate many different casting physical phenomena: starting from simple thermal die cycling, to filling, solidification, it is possible to monitor casting defects such as oxids, metal front, iron segregation, cavitation, shrinkages, core gas generation, sand core filling, core drying, bubble dynamics. FLOW-3D Cast Basic: it is the most used version for gravity casting processes. FLOW-3D Cast Extended: it is the suggested entry level for high pressure die casting users, with most of the physical models of FLOW-3D. Click here to read the feature list of the last version.